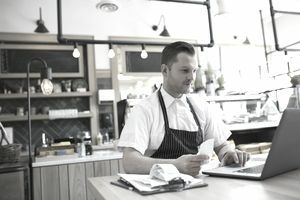 As the fiscal and tax year draws to a close, it’s important to review your small business tax situation to see what you can do yet to minimize the income tax you’ll have to pay. Use these six year end small business tax tips to reduce your Canadian small business's taxable income before the New Year. 1) Maximize your capital cost allowance (CCA) claim. Capital cost allowance is the tax measure that allows you to claim the loss in value of your business's capital assets as they depreciate over time because of wear or tear or because they become obsolete. From a small business tax perspective, perhaps the most interesting thing about it is its flexibility; you don't have to use all of your small business's capital cost allowance in the year it occurs, so building a healthy capital cost allowance claim is a great tax strategy. So purchase necessary equipment and technology before year end rather than waiting for the new tax year to start. Although you’ll only be able to claim 50 percent of the normally allowable capital cost allowance on most classes of new assets (referred to as the half-year rule), you’ll still be increasing your capital cost allowance for this tax year – and setting yourself up for an increased CCA claim in the following tax year. For more on maximizing your capital cost allowance claim, see 8 Tax Strategies to Maximize Your Business Income Tax Deductions. 2) Delay disposing of depreciable assets before year end. The opposite side of the capital cost allowance coin dictates that If you’re planning to dispose of depreciable assets, such as manufacturing equipment or computer equipment, year end is not the time to do it. Instead, don’t dispose of them until the new year. Otherwise, you’ll be reducing your capital cost allowance claim for the current tax year. 3) Delay or defer income. It's always a good idea to review your income before year end and make any possible adjustments to lower your taxable income. Any income your business receives in January rather than December will reduce your business income for the current tax year – thereby reducing the tax on your income. Delaying or deferring income makes especially sound tax sense when your business income is higher than usual, or when the tax rates in the coming year are going to be lower. 4) Increase business expenses before year end. 5) Make your maximum RRSP or TFSA contributions. If your business is set up as a sole proprietorship or partnership and is making a solid income, RRSPs (Registered Retirement Saving Plans) are an excellent way to reduce your taxes and save for your retirement. In any given year, you can contribute up to 18 percent of your earned income, and your RRSP contribution is deducted directly from your income. The higher your tax bracket the greater the deduction. Although you have until the end of February in any given year to make an RRSP contribution for that particular tax year, the sooner you contribute, the sooner your new investment will be earning interest or making money, so why not contribute at year end instead of waiting until then? If you don’t have an RRSP, there’s no time like the present to set one up. For those in lower income brackets a tax free savings account (TFSA) might be preferable to an RRSP. TFSA contributions are not tax deductible but any earned income in a TFSA is tax-free. Up to $5,500 per year can be contributed to a TFSA in 2018 and unused contributions can be carried forward to future years. (See this chart from the Canada Revenue Agency for the TFSA limits for previous years.) Amounts can be withdrawn from a TFSA at any time for any purpose, providing a greater degree of flexibility than RRSP contributions. 6) Maintain your calendar year reserve. Thinking of winding down your business operations? Rather than closing down your business before the end of this year, wait until next year, so the remaining portion of your calendar year won’t be taxed until the following year. That’s right; staying in operation for a few more weeks will defer this income inclusion for a year. We can't avoid taxes, but it's wise business practice to minimize the income tax payable. Putting these six year end tax tips into effect during the waning weeks of the tax year will help you reduce your income taxes and get a jump on next year's tax planning.